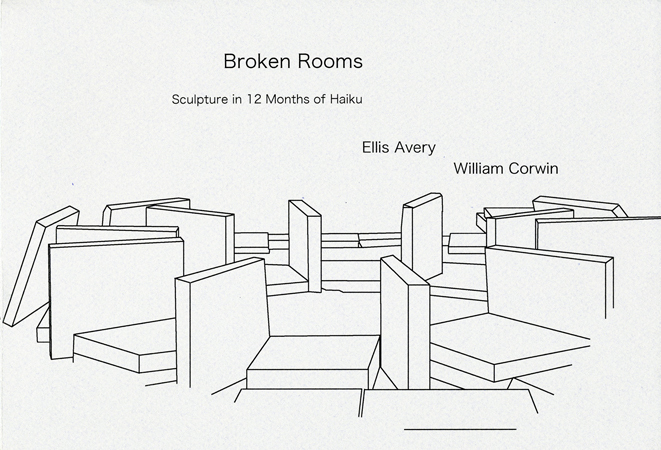 Broken Rooms is a conversation between the haiku of Ellis Avery and the sculpture of William Corwin. Avery wrote the haiku originally in 2011, composing one a day. 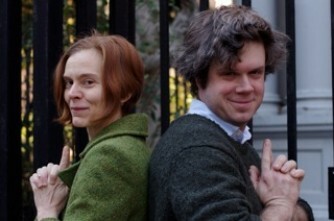 The haiku in that year-long text chart the daily, the seasonal, the spatial, the personal, and the eternal. Broken Rooms juxtaposes selected haiku from 2011 with photographs that echo the poems’ dual preoccupations with loss and space. Corwin works primarily with plaster tiles that have been broken and arranged to create a mental city-scape that, like Avery’s poetry, communicates a presence that has passed and a past that is eerily present. Avery’s haiku, in turn, allow the reader to access the austerity and abstraction of Corwin’s sculptures through a lens that catches and breaks open their crumbling formations in a New York moment.